A useful themed towel for the kitchen. 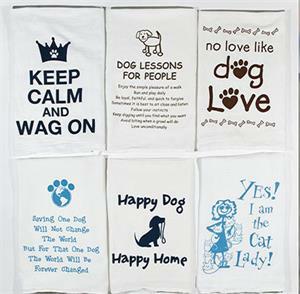 It is a soft 100% cotton towel. Absorbent and machine washable. Will look good in any kitchen or make a fun gift for the person who is a dog lover. The themes are shown below. Yes! I am the Cat Lady!